Trailblazer of Future Talent - creating partnerships that provide opportunities for the next generation of our workforce to explore career possibilities and experience work-based learning. Manufacturer of the Year - in recognition of a manufacturer of any size that is achieving success through its efforts to diversify its customer base, retain employees and/or implement new technologies or efficiencies. Corporate Citizen - providing meaningful support to our community through service and/or philanthropy. Champion of Work / Life Integration - offering innovative benefits that enable employees to balance work responsibilities with personal passions (Sponsored by MetroParent magazine). Model of OneMacomb - cultivating an environment where diversity is valued as evidenced by inclusive practices. Hidden Gem - uncovering a unique Made-in-Macomb product or place that more people should know about.  Nominations for the Macomb Business Awards can be submitted through an online form today (Feb. 14) through Friday, March 15. A panel of judges will then review and select winners in each category. All nominated companies will receive two complimentary tickets to the breakfast, which will feature a celebrity emcee, keynote speaker and exceptional networking opportunities. Last year, more than 400 regional leaders attended. Sponsorship opportunities for the Macomb Business Awards are still available. More information and a link to the sponsorship form is available at www.MacombBusiness.com/bizawards or by contacting Maria Zardis at maria.zardis@macombgov.org or (586) 469-5285.